A little commercial break before we continue on my Japan adventures, how about a little J-beauty? 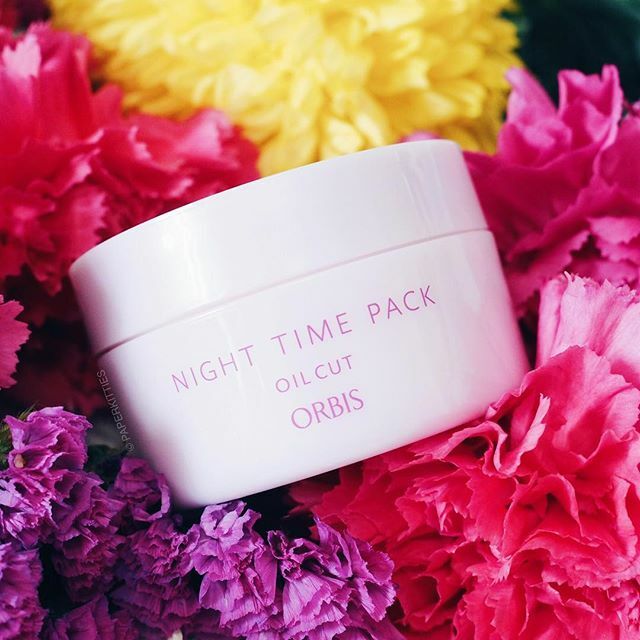 😛 Having heard so much of Orbis from my fellow beauty bloggers, I finally laid hands on my first Orbis product – Orbis Koubijin Night Time Pack (S$48.00)! An overnight clarity mask, Orbis Koubijin Night Time Pack contains 3 main fermented ingredients (soymilk, rice liquor and hydrolyzed yeast) to reduce pigmentation and dullness while encouraging collagen production and moisture retention capabilities for soft bouncy skin. It is basically an overnight mask where you apply once or twice a week before heading off to bed, and wake up to boing-boing mochi skin! On days when I’m pretty lazy, I’ll skip my usual nighttime routine after cleansing and simply jump straight into a spritz of facial mist and my Orbis night time pack before heading to bed. It’s texture is pretty lightweight and not at all greasy, making it perfect in hydrating and brightening my skin while I sleep.